Much of the landmass on Earth has been explored, but one continent is still almost entirely mysterious and wild: Antarctica. This frozen, uninhabited place is the world’s largest desert yet it is locked deeply in ice. While there have been many famous fiction works set on Antarctica, including H.P. 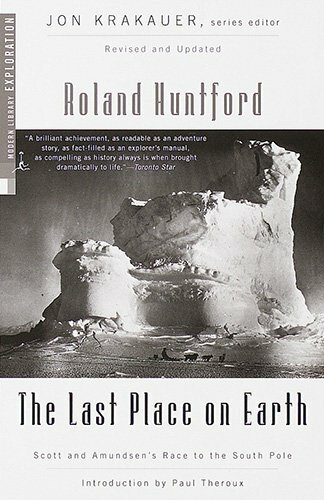 Lovecraft’s At The Mountains of Madness (an actual mountain range in Antarctica) and John Carpenter’s horror movie The Thing, there are also a number of historical books about real adventures in Antarctica. Exploiting this continent is fraught with peril, both in the past and even in modern times. Learning about the trials and travails of these explorers is exciting and educational. 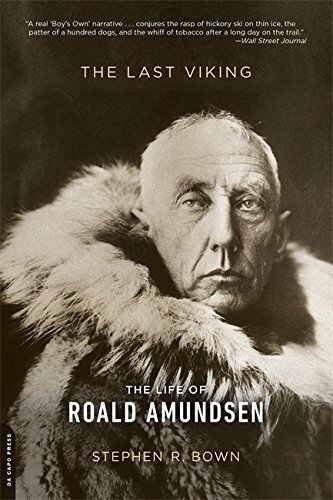 This book tells the story of Roald Amundsen, the man who first explored not only the South Pole, but also the North Pole, the Northwest Passage, and the Northeast Passage. All four of these locations were blank spots until he explored them in 1900. Amundsen is everything you would expect in an explorer of his caliber and time: determined, smart, and a respected (and feared) leader. This book chronicles his life, adventures, and his tragic death on a rescue mission for a rival explorer. The book explores his virtues and his vices alike and is a thrilling, interesting read, full of plane crashes, polar bear attacks, and harsh conditions. The Shackleton Expedition is one of the most well-known tales of explorers and the perils they faced. This book tells the story in detail. A crew sought to lay supplies across the Great Ross Ice Shelf in preparation for Shackleton’s Endurance expedition. They made the longest sledge journey in polar history, stretching a length of 199 days. While they succeeded, the follow-on expedition never happened. Some of the men on this crew died, and while most survived, the exact details of the expedition are not widely known. This book covers them, including becoming trapped in ice, stranded with few supplies, and the vicious extreme of the Antarctic wasteland. These unsung heroes handled it all with excellent discipline, courage, and good humor. 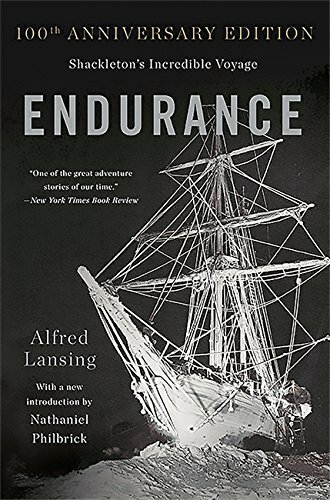 For the tale of the Endurance explanation itself, Lansing’s book is one of the best. After Ernest Shackleton set out on the ship Endurance for Antarctica, the ship became locked in ice a day’s sail away from its destination. The ship drifted in the ice floe for ten months, when it became crushed. 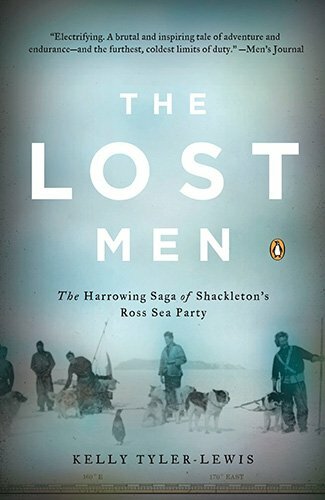 Shackleton led a group of men towards the closest outpost for help. This grueling, desperate journey is an incredible story. Reading through it will give you chills, and perhaps even nightmares. It’s vividly written and you can’t help but be in awe of the determination and death-defying positivity that these men had under the direst of conditions. This is another story of the Endurance’s logistics crew. It specifically tells the story of the men who were stranded as their ship vanished due to gale-force winds. Ill-equipped and inexperienced, these lost men had to find a way to survive. The book draws on the journals and diaries of the men who were on the expedition. It draws a vivid picture that takes no prisoners and draws you on, making you feel as if you were an eye-witness. In 1900, the South Pole was still unexplored. The man who reached it first would become a legend – and he did, as this list makes clear in its earlier biography of Roald Amundsen. He and a rival, Robert Scott, raced to the South Pole. The book examines this race, which saw Amundsen victorious and Scott dead. 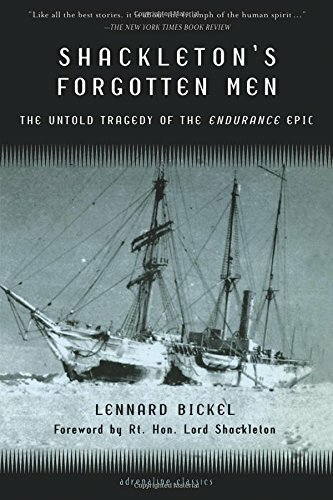 The book not only looks at the events of this Antarctic race but also the conditions surrounding and the personalities of the men who were running it. The book is unique because it is the only book based on original Norwegian sources and has been updated and revised several times since. This book tells the story of Douglas Mawson who started out into the Antarctic wilderness with two companions. Things quickly went wrong, as he loses his companions, his dogs, and his supplies. From there, he faced starvation, frostbite, snowblindness, and more. Mawson’s unbreakable spirit and incredible ingenuity allow him to survive the journey towards civilization all alone. 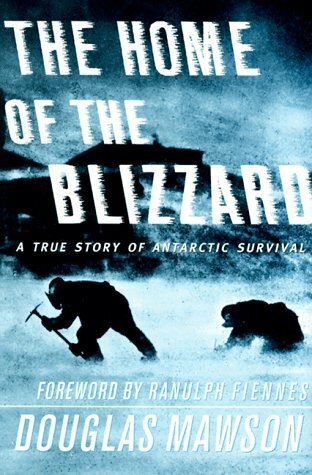 It’s a terrifying and mesmerizing read about one of the less well-known Antarctic adventures. 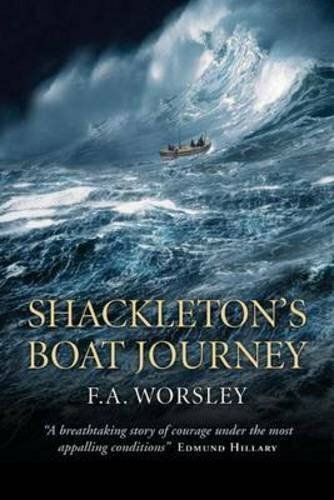 Shackleton’s Boat Journey is the first-hand account of Frank Worsley’s journey to safety after his ship, the famous Endurance that carried Shackleton, is trapped in ice. While Shackleton is the most famous, he and his men survived thanks in large part to Worsley’s skills at navigation. Reading about the expedition in the words of a man who was on it. It is a deeply engrossing narrative, offering a different perspective on the famous expedition. While Antarctica was and remains difficult to navigate, there were other places in the world that were still blank on the map once, including the Northwest Passage that links the Atlantic and the North Pole. 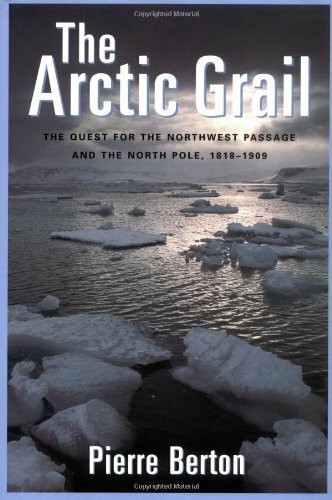 This book gives a comprehensive history of the many expeditions that sought to find the Northwest Passage and the North Pole. There are many tragedies and controversies to be found in the history of this subject and the author explains them based on what information we do have. This is a fascinating read for anyone who loves tales of exploration and adventure. 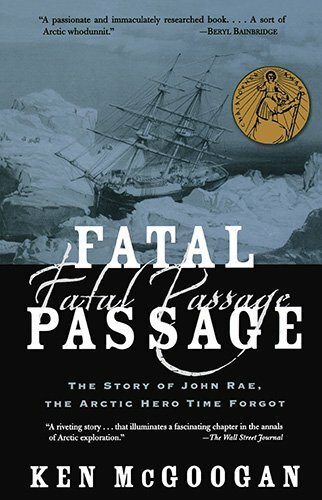 John Rae was a highly accomplished explorer who charted many previously unknown regions of the North American northwest, but his adventures have been lost in time due to the awful truths he uncovered and revealed about the fate of the Franklin Expedition (another tragedy of exploration). The author set out to tell the untold story of Rae’s great accomplishments and elevate him to his rightful place in history. 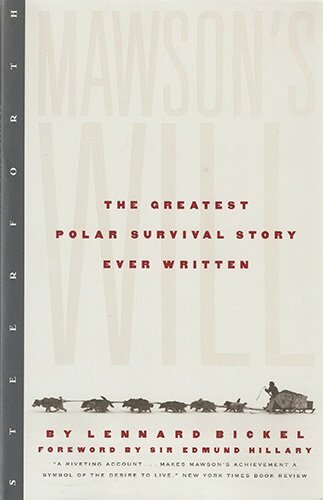 Written by the Australian survivor himself, this book tells Mawson’s epic story in his own words. It is a rather dry book in many expects, as might be expected from an explorer more concerned with science than glory, but it is fascinating and thorough. Mawson pulls from the diaries and reports of the members of his small expedition to make sure the full story is told. His own experiences are harrowing and terrifying, though they are not covered in as much detail here as they are in Mawson’s Will. If you are looking for a more complete picture of the expedition and all of those involved in it, this is a book for you.